1. Ian welcomed everyone to the meeting. Mr. Johnny Abraham was elected as Treasurer. Tamara Dervish was elected as Deputy Treasurer. The boundary issues have taken longer than was thought to resolve but are now agreed. Council officers are satisfied with the boundary drawn. 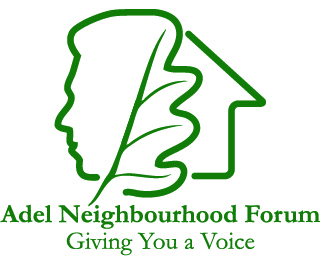 The current status is an Interim Neighbourhood Forum Group. Cllr. Anderson reminded everyone that the closing date for comments and objections is 29th July at 5pm. He suggested people either send an email to ldf@leeds.gov.uk or send a letter. 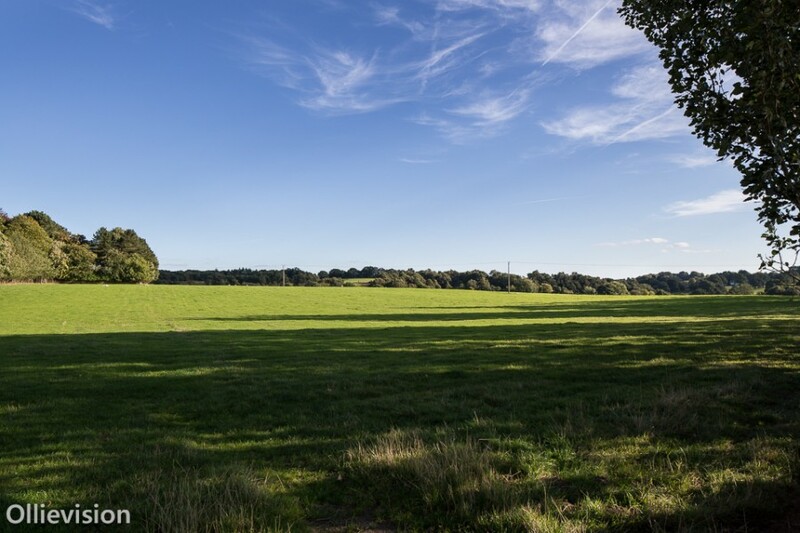 He explained that he had suggested some sites in the HoltPark area as an alternative to the Dunstarn Lane site, thus keeping the numbers the same. Comments on the site opposite the Church should include reference to asking the Council to put it back to a PAS designation. ACTION POINT – John and Ian to send a response to the consultation as the Interim Adel Neighbourhood Forum Group. Geoff Steel is leading this group and gave a short update from the meetings he has held and the report he has produced. Geoff asked if this report could form part of the Interim Report which is due to be published in October. It was agreed this would be done. ACTION POINT – Caroline to send Geoff’s report out to all members of the Forum. The Group has met, in addition a meeting has taken place between Ian Bond, the two Head Teachers of the local Primary Schools and 2 Governors. The issues with education remain the same – lack of places to accommodate any new children moving into Adel. Ian has also written to the Head Teachers of the secondary schools that are in the Adel catchment area. At least 3 want to meet with the Forum in September. Cllr. Anderson read from a report presented to the Council’s Executive Board regarding new births in the city. On new births alone the city will need 22 new forms of entry at primary level and 2 new high schools. This is before we factor in any new housing development. Geoff asked that the Education group put their report together to build up the Interim Report further. John Hartley gave an update on this. There are currently 258 businesses in Adel, which is a mixture of offices, shops and people working from home. The group is going to discuss business rates with the Council’s Economic Development Department to see whether a reduction in rates can be negotiated for the businesses. He also envisages a networking meeting for business owners to see what develops from there. Broadband is an issue that is at the forefront of most businesses and we need high speed broadband in the area as quickly as possible. Nick Brown gave an update on the group he was working with. They are using the Adel Neighbourhood Design Statement as the foundation for their work. Currently they are looking at housing design, market values, social housing, and typology. They would like to put their work into diagrammatic format. Nick is happy to deal with both topics but would like 7 or 8 members so the tasks can be separated out. Ian said that Laurence Tewfik, a member of this sub group, had looked at the responses from the consultation day and identified issues from that. Analysis showed concern over GP facilities in the area. There are also transport problems getting from Adel to say, HoltPark, or to the 2 major hospitals in Leeds. In respect of encouraging healthy lifestyles they had also touched on the need for cycle paths, public footpaths etc. Play Areas is also an issue and currently the Adel Association has asked Council officers to identify some sites for use as a play area. A Green gym has also been suggested along with whether we need community centre provision or to make better use of current community facilities. Other facilities requested were a pub and allotments. Jane Riley is taking forward the survey which will go to all residents. She is keen to do this professionally and ensure that we encourage as many people as possible to complete it so we should have a number of different ways it can be done. She suggested we hold a festival or fair which would have a number of different stalls to give people something else to look at along with them coming to complete a survey. Keith suggested we hold a further public meeting or open day in September. Geoff suggested 14th September. ACTION POINT – John, Tamara and Ken to help Jane with the survey. We agreed that funding would be required and currently have a small amount of money from the Area Committee grant. Cllr. Anderson asked the group if they intended to purchase professional help to represent us at the public inquiry that will be held into the potential development sites. John outlined our current publicity drives which are the three free magazines that come to each house every month and we are featured every month in there. We can get YEP and YP as soon as we have a story to tell. We have a website and we will soon be live on Twitter. Ian thanked John for all his work on the publicity angles. Next meeting – Monday 4th November 2013 at 7.30pm in The Stables. All to note that this group meets quarterly. The work is done by the focus groups in between these meetings.